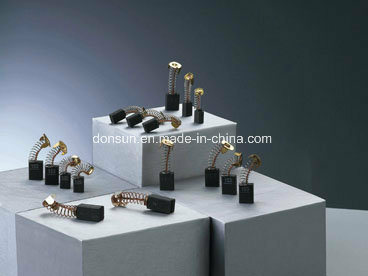 Density, resistivity, hardness, current desity is tested during production to assure every products's quality. Brands: Bosch, Chrysler, Delco-Remy, Ford, Hitachi, Lucas, Mando, Marelli, United Technologies, ISKRA, Mitsuba, Mitsubishi, Nippondenso, Nikko, Prestolite, Veleo and so on. 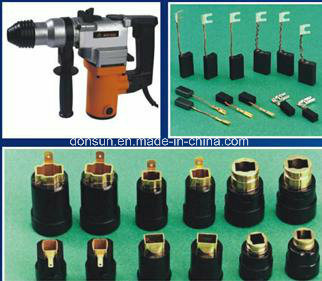 1.We can supply various kindsÂ of carbon brush and brush holder for automotive, motorcycle, electricÂ powerÂ tools, home appliance etc. 2.With advanced technologyÂ andÂ automatic machine, qualityÂ assuredÂ products areÂ producedÂ for customers.Moreover, theyÂ have passed the ISO 9001:2001Â certification. 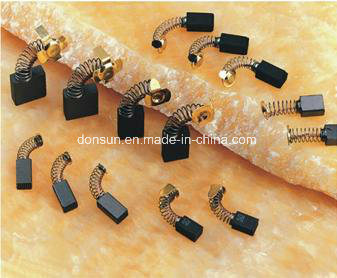 3.Products are characterizedÂ by little spark, low noise, long time, and lubrication.Nonstandard carbon brush can be designedÂ and manufactured as your personal samples or drawings. 4.Any request for dimension and types, please feel free to let us know!We offer good price and fastest delivery! We are the real manufacturer!!! Q:How to get in touch with us? A:You can click "Contact Now"above. A:Normally we advise accept T/T, L/C, accept Western Union, Paypal also. Q:Can you make by customer's design? A:Yes, we can.Please email your design details to us, we will make as your requirement. A:Normally within 15 days, also depends on your order quantity. As the product design and specification more than the given product attributes, images, prices are for reference only, welcome to send your design and requests to us, thanks.